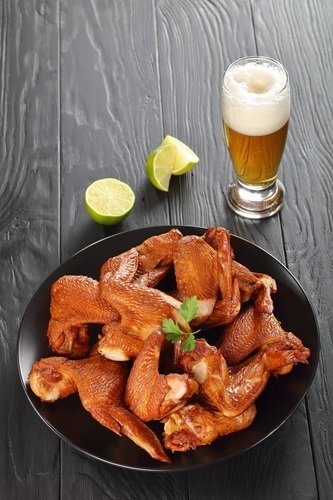 If you want the best of American food, you’ll find it at Buffalo Wild Wings® in Danbury, CT. Their hearty, flavorful dishes are the perfect answer to your strongest cravings. Take a look at their menu to find the flavor experience you’ve been searching for, including burgers and wings. When we’re talking about America’s favorites, it doesn’t get any more classic than a juicy, grilled burger loaded with savory toppings. Try the Bacon Boss Burger for smoky bacon three ways, or the Screamin’ Nacho Burger for a spicy flavor explosion. If you want award-winning wings in your choice of sauce or dry seasoning, Buffalo Wild Wings has the goods. Get your customized, hand-spun order any day of the week, or come in on Thursday for boneless wings. For juicy chicken you can sink your teeth into, Buffalo Wild Wings offers delicious chicken tenders with dipping sauce. Choose between crispy breaded chicken and unbreaded, seasoned Naked Tenders. When a burger isn’t quite what you crave, switch it up with a loaded, savory sandwich of your choice. Alaska cod, pulled pork, popcorn shrimp, and Philly steak are all on the sports bar’s mouthwatering sandwich menu. Looking for a classic side? Search no further than beer-battered onion rings, thick-cut and fried to perfection. Their satisfying crunch and zesty flavor add a whole new layer of goodness to your Buffalo Wild Wings meal. When you’re looking for an American restaurant to satisfy your cravings, choose Buffalo Wild Wings. Their eleven locations provide an unbeatable selection of the country’s most loved flavors, from burgers to mac and cheese. For more information, call (203) 794-9453 or get in touch online. Stop in at their Danbury location if you’re feeling hungry.